DAddarios Custom Series Coiled Instrument Cables not only provide vintage aesthetics, but are part of the vintage tonal equation. Due to the extra cable length needed to produce its coiled effect, this cable has a higher total capacitance compared to straight cables of the same length. This added capacitance provides a slightly warmer tone while retaining the dynamics of your playing, perfect for taming high frequencies of instruments with passive single coil or humbucking pick-ups. 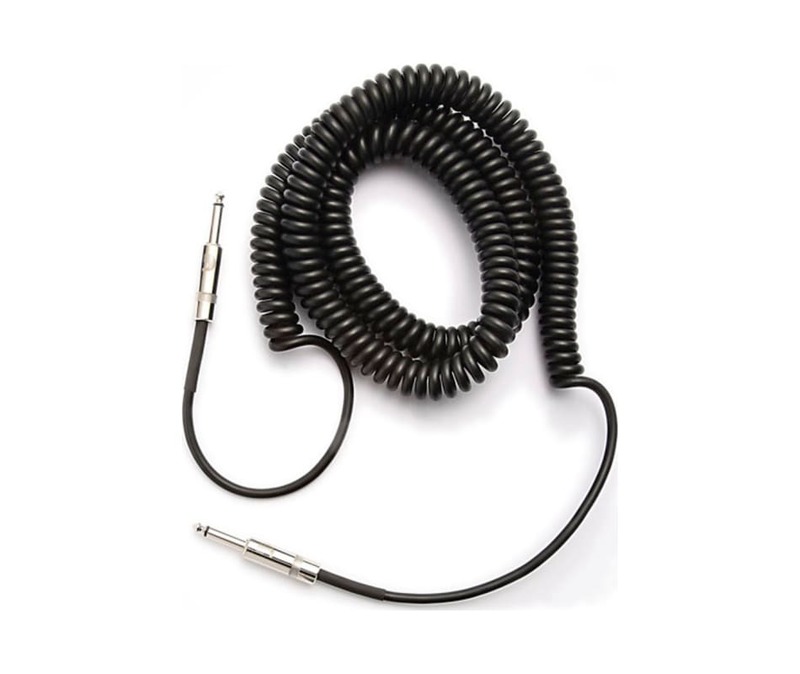 These coiled cables also feature a coaxial oxygen-free copper conductor with two layers of noise-rejecting shielding to provide quiet operation and superior strain relief for the ultimate high-performance cable. D'Addario Custom Series cables utilize ultra-pure, oxygen-free copper conductors for low capacitance and pure tone.